Thanks to all who made our February 2018 production of 'The Actress' by Peter Quilter such a roaring success. Pictures below. Baynes and Judi Campion for nominations for 'The Actress' in the 2018 Barnet & District Drama Festival awards. 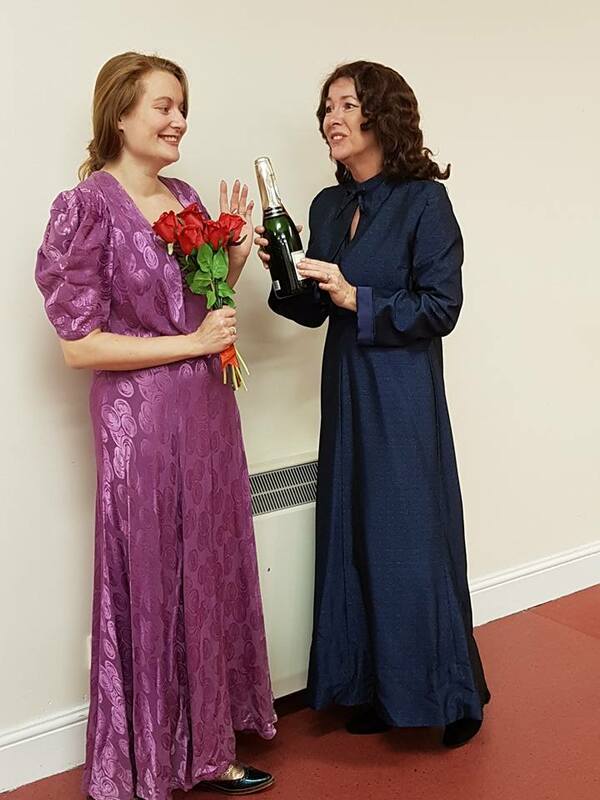 The Actress, a comedy by Peter Quilter, dramatises the events backstage as a colourful, complicated actress makes her emotional farewell performance. Various people from her life invade her dressing room to say their goodbyes, declare their love, roar with laughter, spit insults, grab a final embrace, and renew old battles. The Actress is Belmont's entry into the 2018 Barnet and District Drama Festival (Affiliated to the Barnet Borough Arts Council). "Just wanted to say how much my group enjoyed last night's performance. Best of luck for the festival." F.P. Bushey.
" The lighting design was stunning and so good to know the 'controls' were in the hands of a master." P.W. Borehamwood. "Really enjoyed it last night! Well done to you all" C.R. Whetstone. Excellent pics (Left) taken at final dress rehearsal of The Actress taken by ALICE BRZEZINSKA.The audience is in for a real treat . Rehearsal pictures taken by our Director Danielle Robson (Below) - well into rehearsals here - well done everybody. Well done to ALL the auditionees, it was wonderful to see you.